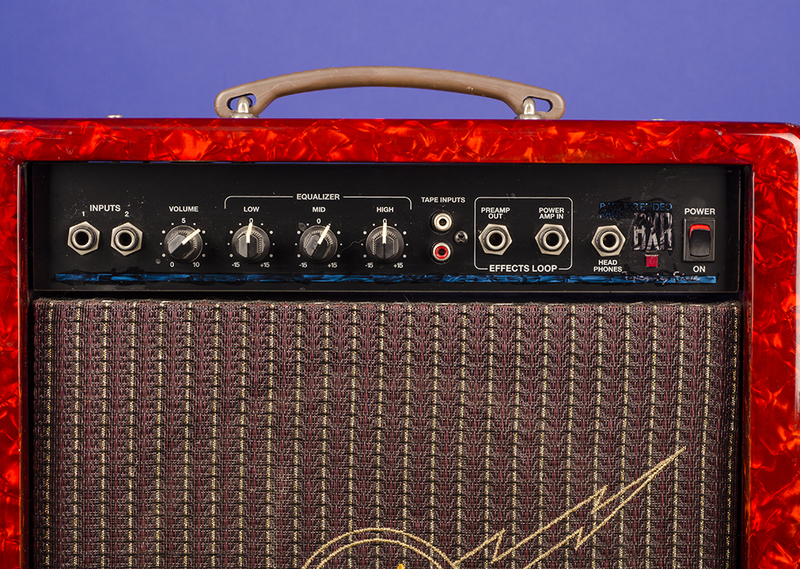 BXR Twenty Five Bass Amplifier 50th Anniversary Amplifiers | Fretted Americana Inc.
A near mint, 50th Anniversary "BXR-25" Bass amplifier type "PR 190". 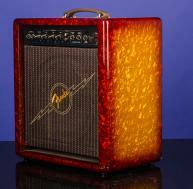 This very attractive combo is one of a few specially produced examples with an 'Orange-Burst Pearloid' finish. 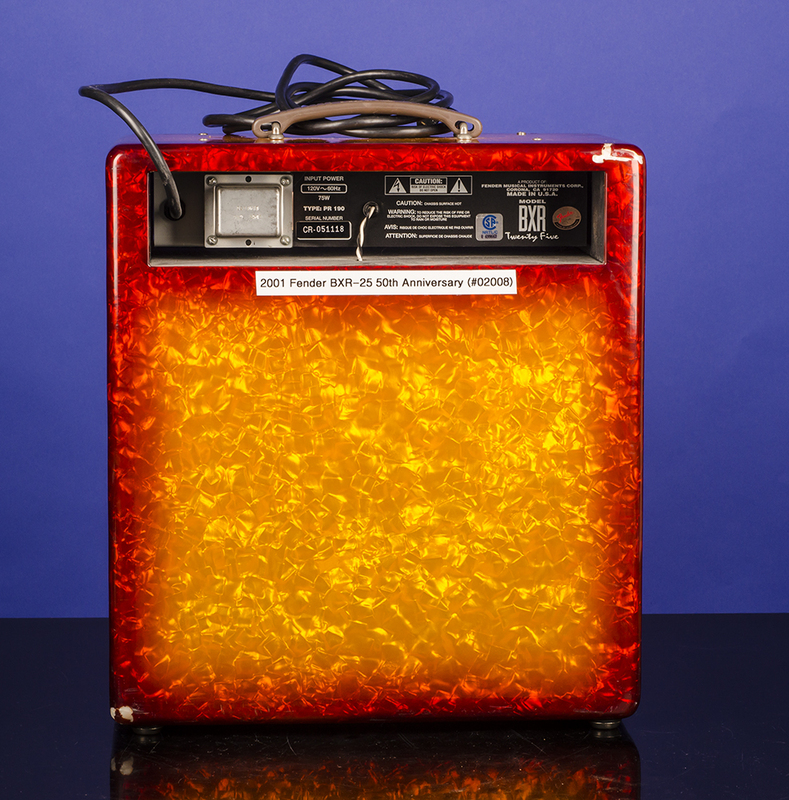 It weighs just 24 lbs, boasts 25 watts and has one ten-inch speaker. 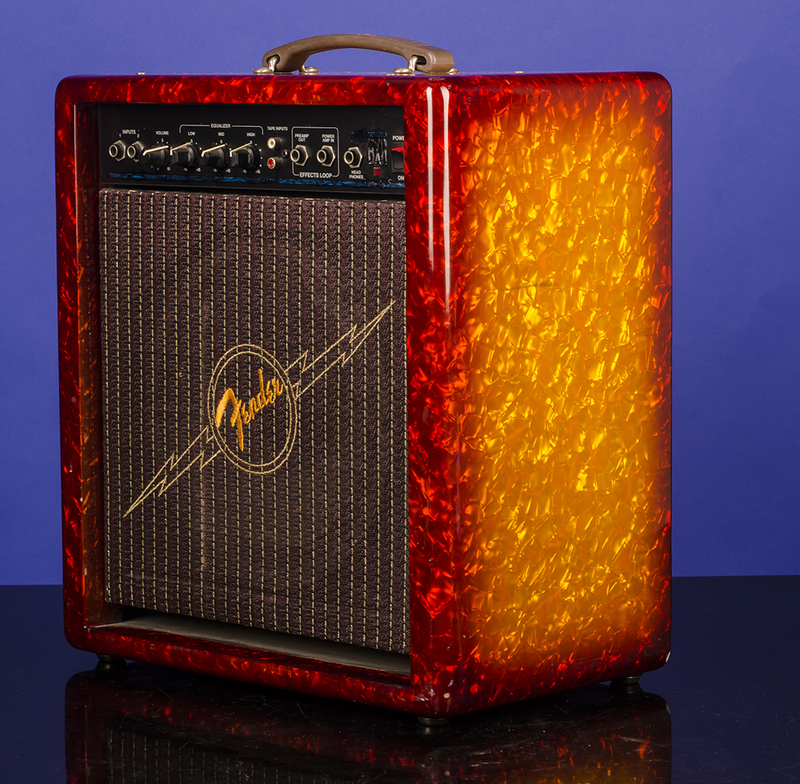 'Orange-Burst Pearloid' finish over a 3/8 inch thick wooden cabinet with a black, silver and orange grill cloth. The cabinet measures 17 3/4 (height) x 16 (wide) x 10 inches deep. The serial number "CR-051118" is on a label on the chassis. 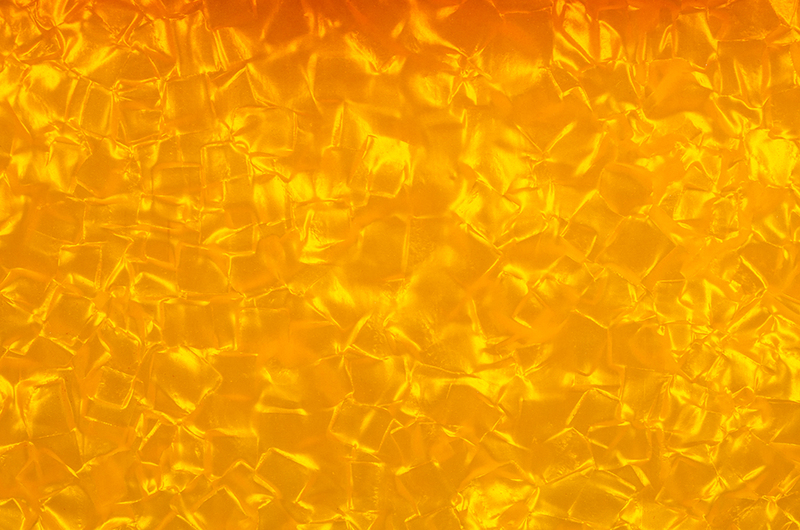 The transformers is stamped "CO 33613 / 989. 9545" (November 1995). This is a near mint example of a bass combo that we have not been able to find any other example with the special custom 'Orange-Burst Pearloid' finish. This fine little bass practice amp has just a small amount of finish loss on the back top corner, still in near mint (9.25) condition. 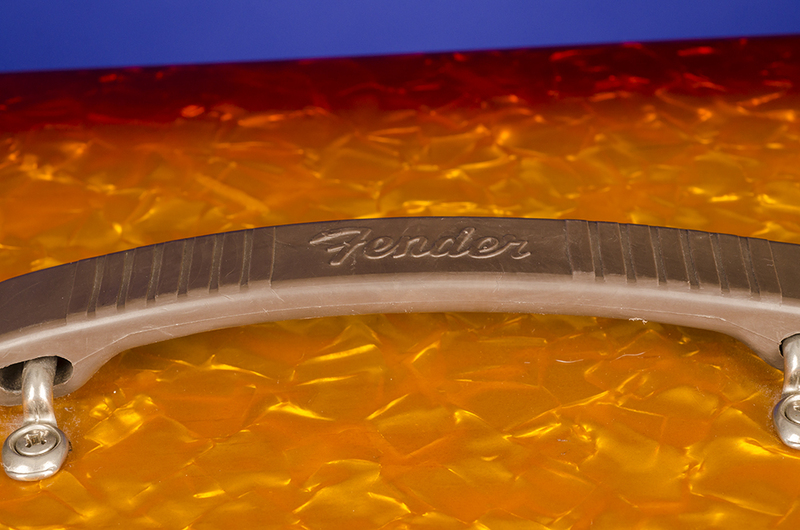 Produced in 1996 by Fender Musical Instruments Corp. Corona CA 91720, to celebrate fifty years of Fender amplification. 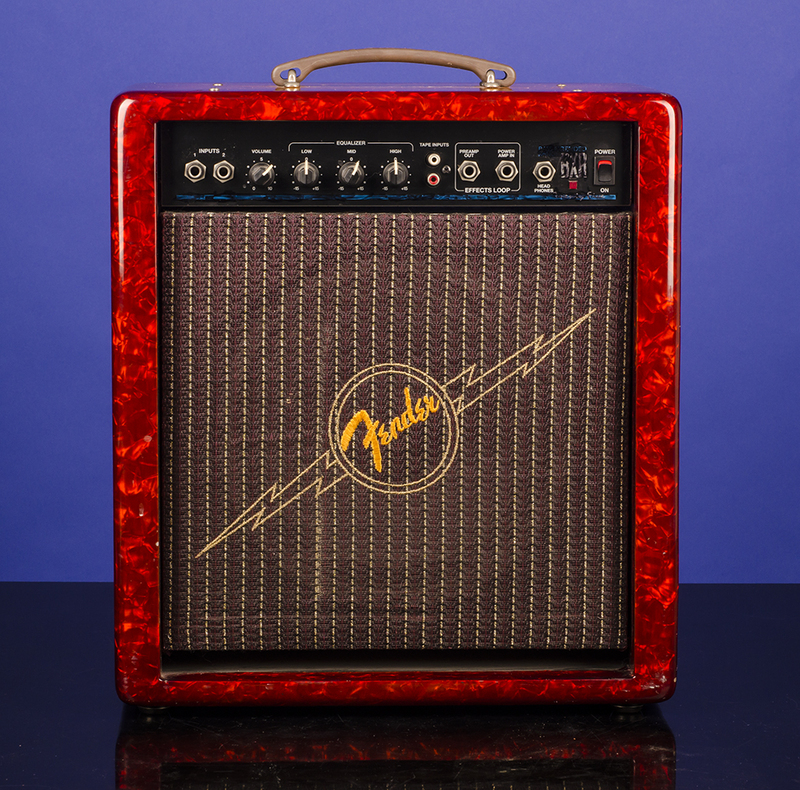 "The Fender BXR 25 amplifier is the most recent effort in state-of-the-art bass amplifier technology. 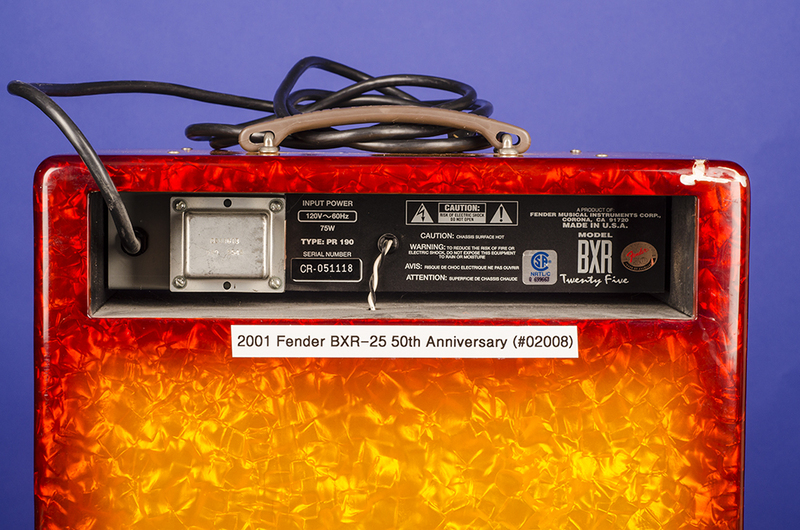 The Fender design team developed the BXR 25 with the assistance from some of today’s best musicians. It represents years of decisions concerning performance, features, and specifications. The features included in the BXR 25 make it a viable and tough competitor, whether meeting the demands of a serious practice session, or just jammin’! The preamp section of the BXR 25 features two inputs of differing sensitivity, that allow connection of a variety of signal sources and levels. Built-in emphasis circuitry is included to provide enhancement of the extreme low and high ends of the frequency spectrum. Wide range active “HIGH”, ‘MID”, and “LOW” controls allow further response tailoring of the high, mid, and low frequency areas of the sounds you and your instrument produce. The rugged 25 Watt power amplifier was designed to give years of reliable service under all conditions and is equipped with a unique implementation of our exclusive DELTACOMPTM adaptive compression system. When DELTACOMPTM engages, it is practically impossible to cause the power amplifier to clip (distort). With DELTACOMPTM, apparent compressor release time is kept short, yet waveform distortion is kept to a minimum at low frequencies. A number of professional features have been added to the BXR 25 like PREAMP OUT & POWER AMP IN jacks which can be used as an Effects Loop. The PREAMP OUT is connected to the input of your effect (digital delay or other effects device) and the output from the effect is returned to the POWER AMP IN. The PREAMP OUT can also be used to connect your BXR 25 directly to a recording console or sound reinforcement mixer. The HEADPHONE jack automatically mutes the speaker in addition to driving Stereo or Mono headphones." 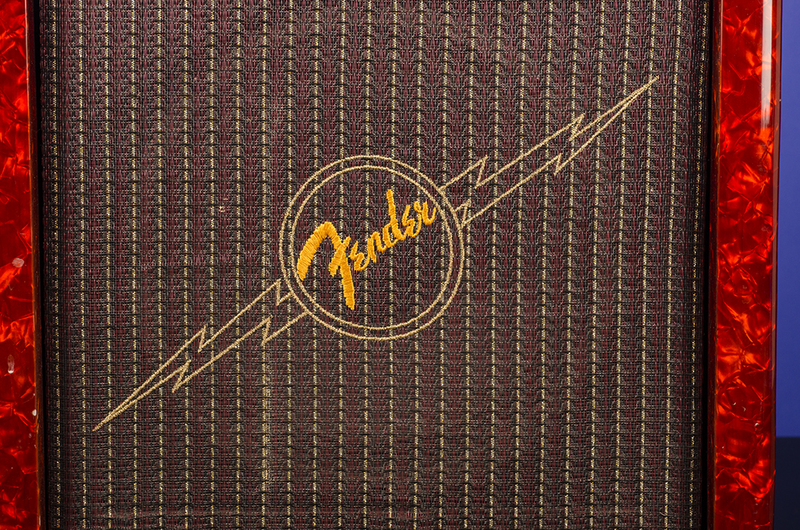 (Fender owner's manual).